Take a charming tour through the rich heritage, gorgeous wilderness and winding roads of Tasmania’s Derwent Valley and Central Highlands. Set off from Hobart, spending your morning at the world-renowned MONA. From here you’ll commence your journey along the Derwent River to the town of New Norfolk. If antiques are your thing you’ll be in for a treat, while foodies should head straight for the famed Agrarian Kitchen. Continue tracing the river through the charming hamlets of the Derwent Valley before heading into the wilderness at Mount Field national park. It’s well worth leaving your car for a stroll to the picturesque Russell Falls. Hike to the top and keep going to wander the ancient forests and the Tall Trees walk. Continuing north, you’ll cruise through farming country to the colonial town of Hamilton. From here you’ll ascend into the Central Highlands and the Great Lakes, fly-finishing paradise, before reaching magnificent Lake St Clair. 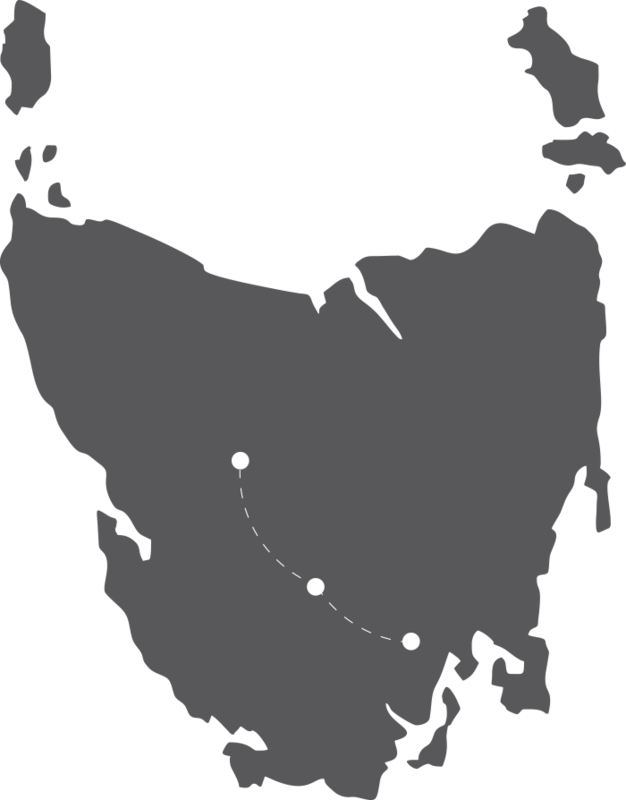 Continue to the West Coast or enquire about our Fly-Drive package to complete your journey back to Hobart on a high. For more details visit hobartandbeyond.com.au.